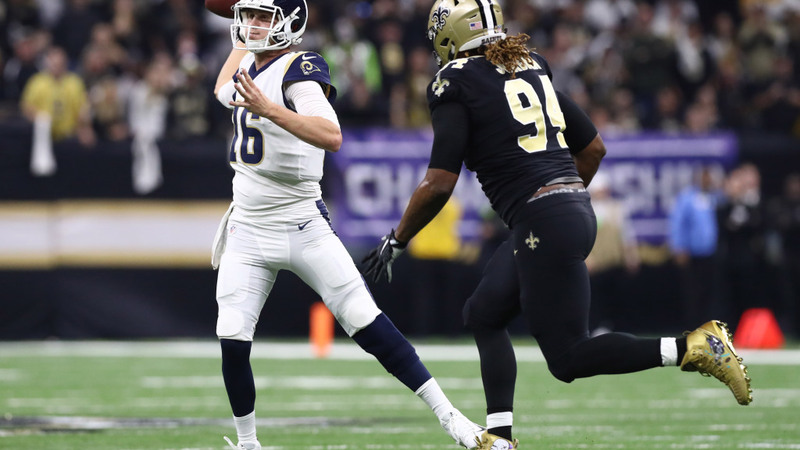 One of the most anticipated games on the Los Angeles Rams’ 2019 schedule is the NFC championship rematch against the New Orleans Saints. There’s no doubt Saints players and coaches want revenge after being robbed of a trip to the Super Bowl by a missed pass interference call, but Cameron Jordan doesn’t want to see L.A. right off the bat. He’d much prefer to face the Rams a few games in so that the Saints can find their footing before the rematch. Appearing on NFL Network on Friday, Jordan talked about when he wants to see the Rams on the Saints’ schedule. The Saints were tripped up early last season, falling to the Ryan Fitzpatrick-led Buccaneers in Week 1. They went on to win 10 straight games and finished 13-3, earning the No. 1 seed and hosting the Rams in the NFC title game. The 2019 regular-season schedule is expected to be released this week – likely on Thursday.